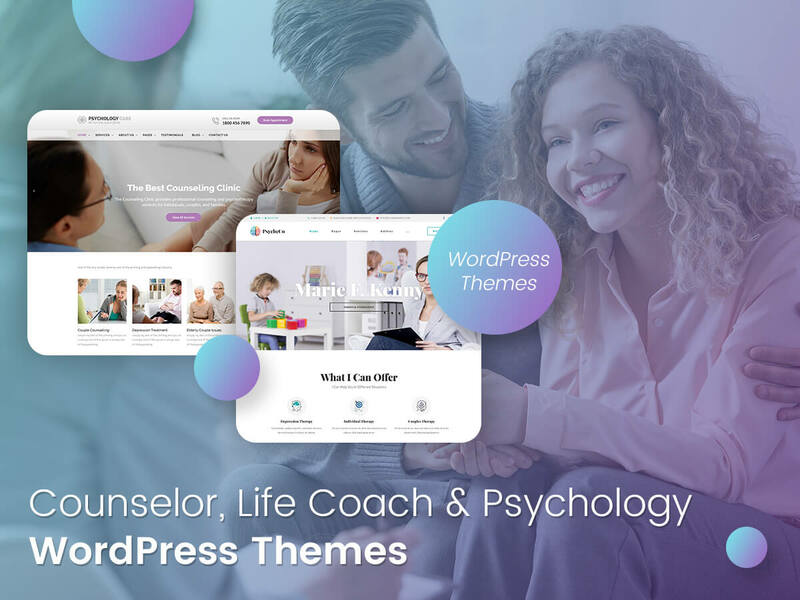 This is an absolutely awesome and diligently selected collection of WordPress themes devoted to life coaching, psychological, counseling, public speaking, and mentoring services. Therapy centers, psychiatrists, life and health coaches, practical psychologists, counselors, and other related experts can find the perfect theme for building their online presence and promoting their services on the Web. 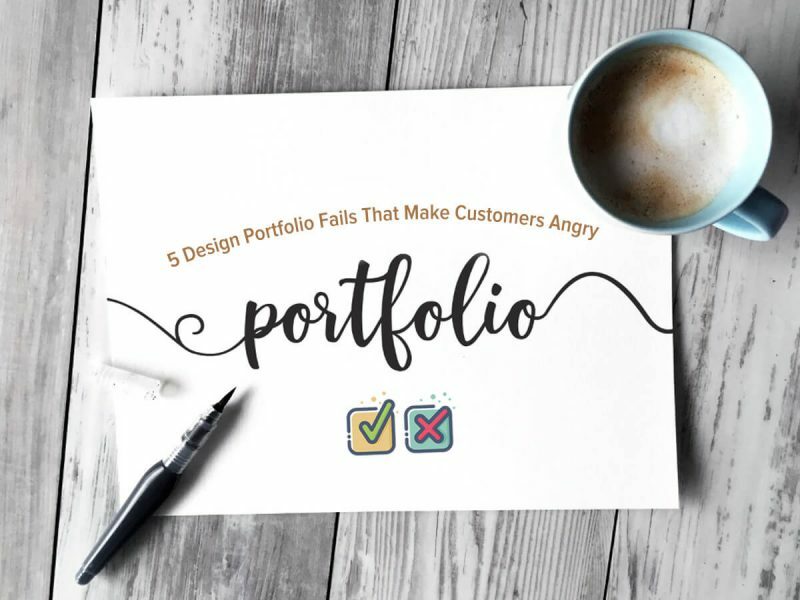 So just go ahead and take your best design for your particular purposes. 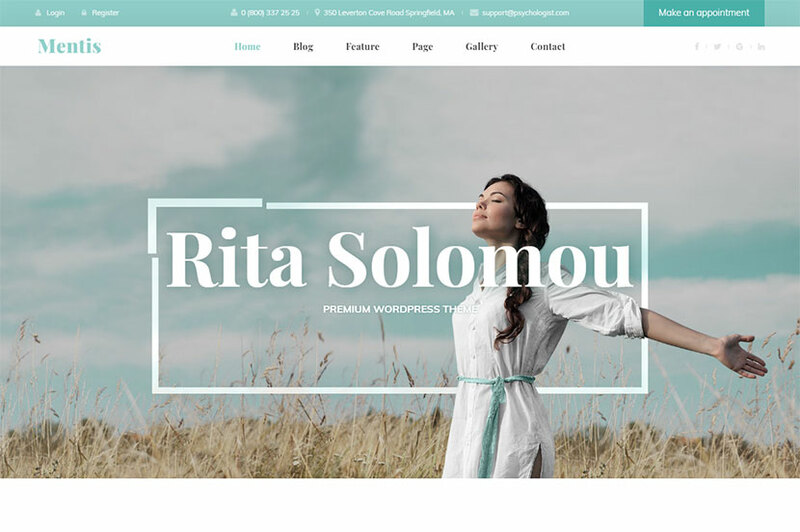 A clean WordPress theme suitable for psychologists, psychiatrists, counselors, family relationship experts, life coaches, and other related specialists. No matter you are a private psychologist or you work in a clinic, this theme has you covered. It includes several unique homepage layouts as well as a lot of pre-made inner pages built for representing your services and achievements in a professional manner. The theme allows to make an appointment online with the help of the booking functionality, so your customers can book a consultation from the comfort of their homes. The template is also compatible with WPBakery page builder and allows to build pages without any coding knowledge. A WordPress design solution suited for psychiatrists, therapists, psychological counselors, individual psychologists, psychology clinics and life coaches. This theme will be the best choice for mental specialists having therapy groups and private medical practice. Light and dark versions, boxed and wide layouts, three predefined color schemes, multiple options for header and footer, the Unyson drag-and-drop page builder integration, Snazzy maps plugin, Booked plugin, and many more features are available for the theme. 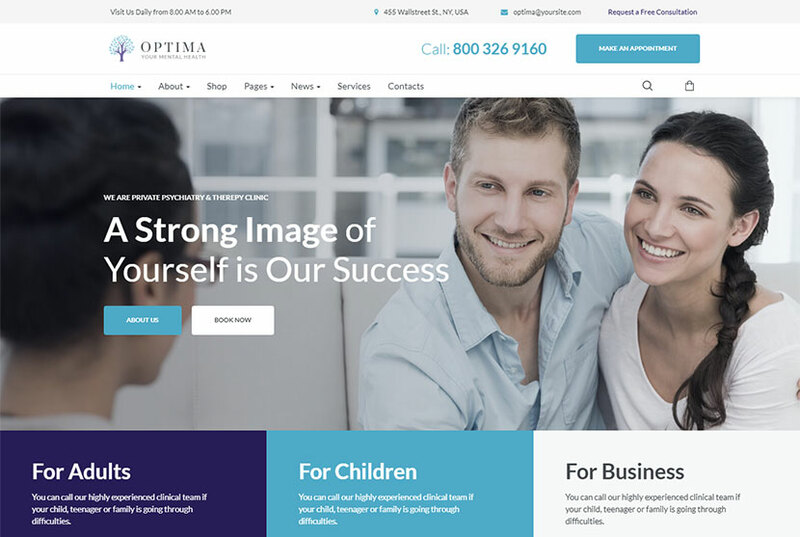 An elegant WordPress theme quite appropriate for a practical psychologist, therapy center, marriage counseling, family therapy, individual counselor or therapist. Use the theme to tell people about your services and attract your potential clients on the Web. It is based on Redux framework and comes with a variety of options allowing to change the look and feel of pages. Visual page builder is included into the pack to help with managing the structure of your pages. The template also includes the blog page layout, so you can share your stories and thoughts with your clients, publish the latest news to attract your audience. 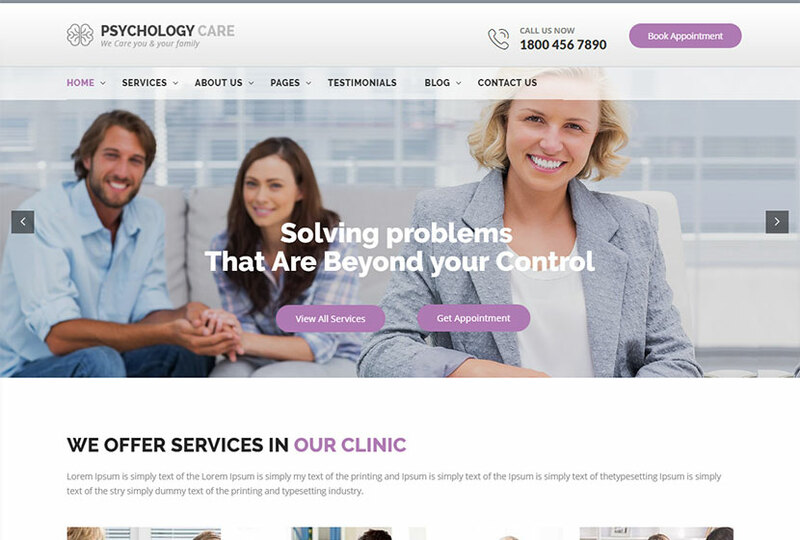 A WordPress theme best suited for psychology clinics, psychology firms, individual psychologists, and therapists. The template includes a bunch of premade page layouts for presenting your project details, testimonials, running your blog, etc. Of course it is compatible with Live WP Customizer, has a powerful admin panel with a lot of options, comes integrated with WPBakery drag-and-drop page builder, a few homepage layouts to choose from, and many more features. 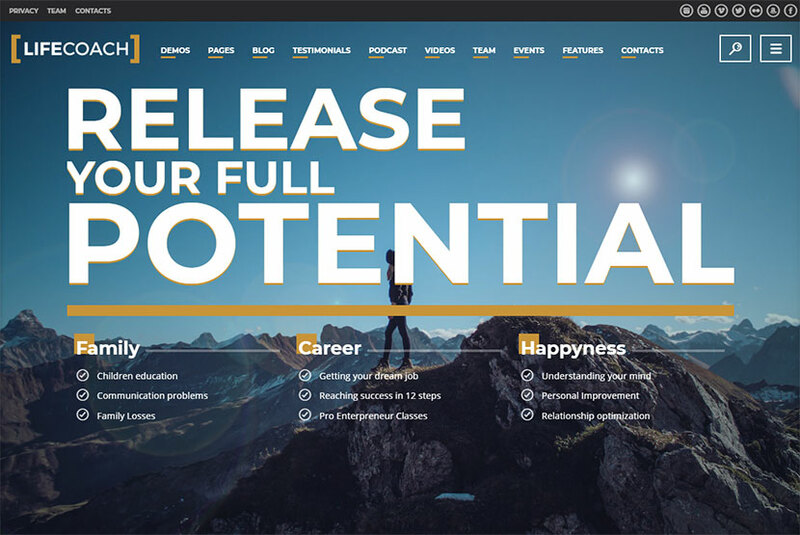 A flexible and multipurpose WP theme for speakers, mentors, trainers, therapists, and coaches. 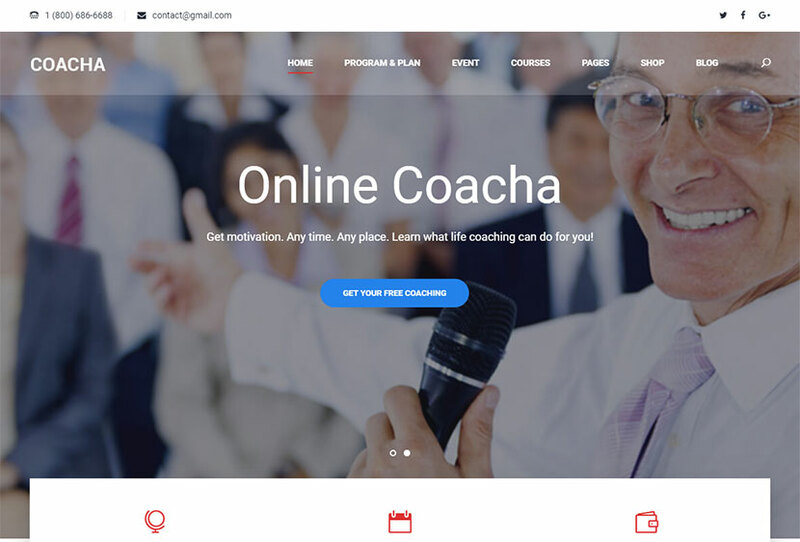 It is the ultimate solution for those who want to promote their coaching business on the Web as well as share their speeches, offer their services and consultancy. Of course the template comes with a number of features and page layouts that make it an easy solution for building a website. It includes the layouts like course collection, course review and rating, students and instructor’s profile, and many more ones. The theme comes with 4 homepage layouts, custom widgets, Contact Form 7 compatibility, WPML multi language support, and much more features. 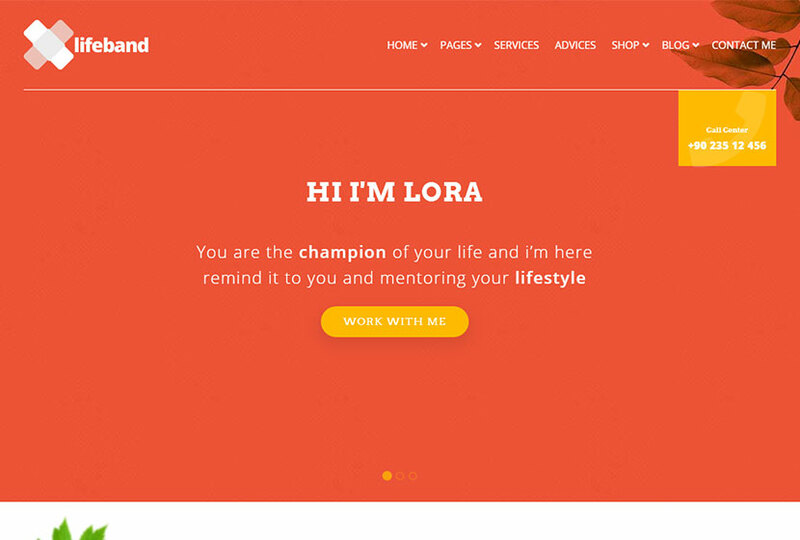 A beautiful WordPress theme mainly suitable for mentors offering personal development. It can also suit for coaches, trainers, therapists, speakers or other related experts who require to build a personal website. Graphic elements of the theme are created directly for people offering personal services, the elements include the calendars, personal development graph, copy and CTA forms. The main features of the theme suppose 3 different homepage layouts and header styles, Revolution Slider to create unlimited slides, theme options based on Redux framework, working contact form, unlimited color styles, WPBakery page builder integrated, and many more cool features. 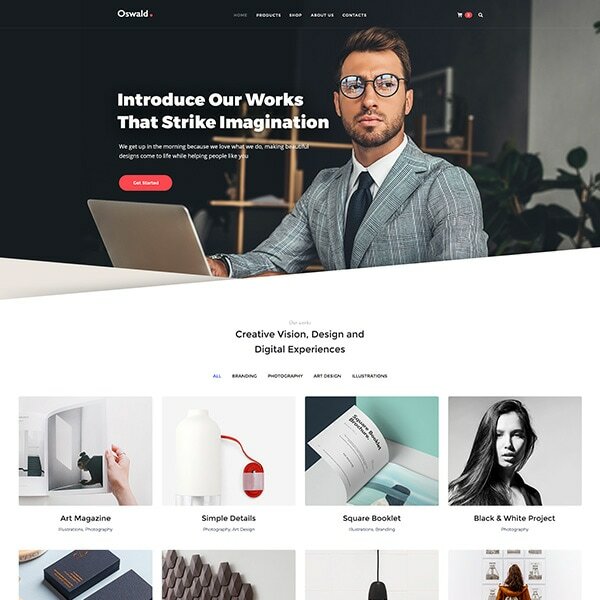 An easy-to-use WordPress theme with fresh and functional design which will be an ideal choice for personal websites of all mentors, coaches, trainers, motivators or speakers. The theme’s layout includes all necessary design elements typical for this branch. Features like drag & drop layout creator, pre-made layout creator blocks, support of WooCommerce, and some others are available for the theme as well as unlimited color schemes, Google web fonts, custom widgets and page builder blocks. Enjoy! 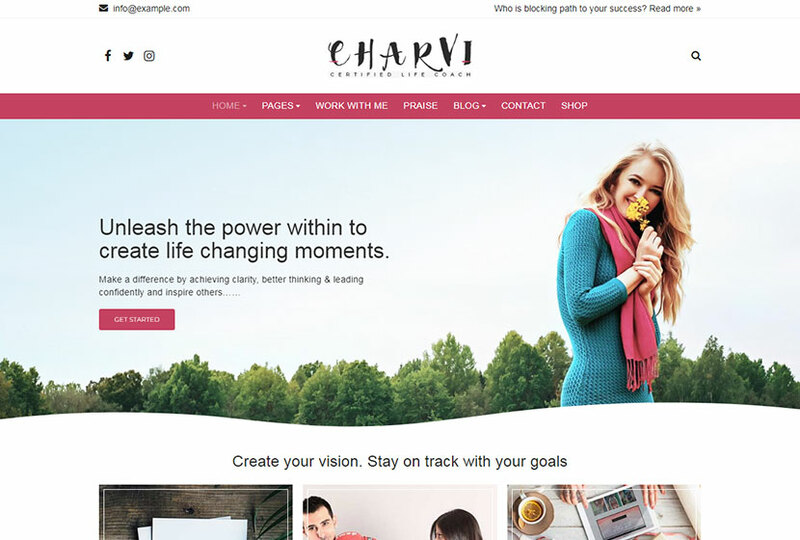 A complete WP theme suited for life and business coaches who want to create a professional online presence. Express yourself, share your achievements and find your clients easily. This is a website building tool which includes a number of pre-made pages, plugins and features like testimonials, events calendar, team members, podcast, videos and e-commerce support. Tons of flexible and interactive elements like slideshows, carousels, testimonial slideshows, and many more ones are available. The theme comes with custom shortcodes and WPBakery page builder which will ease the process of building a website. A great WordPress theme especially built for trainers and coaches. Its flexibility and customizability allow to adapt its design for any other business niche you prefer. Of course the template includes all necessary tools helpful for building a website with simplicity and without any specific skills. For that purpose you can use the integrated drag-and-drop page builder for crafting your content and pages structure, as well as use Revolution Slider to manage and build promotional slideshows and presentations. Much more features are also available, so check them out. 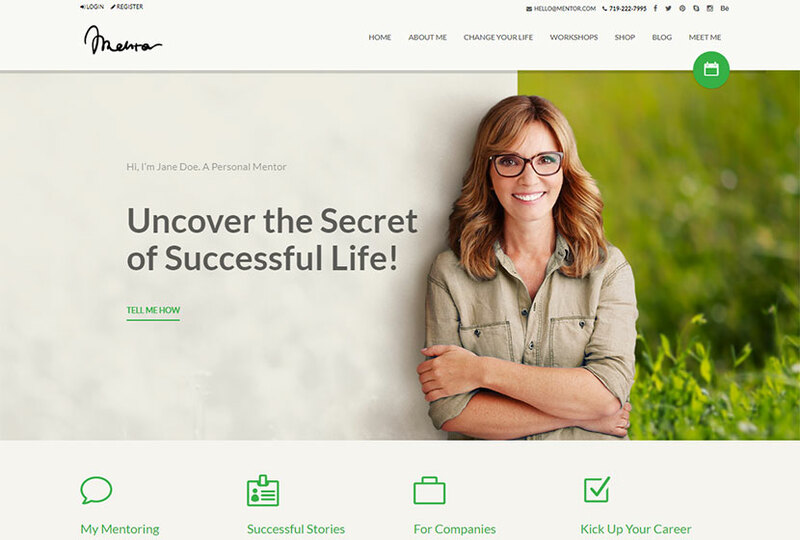 A life coach WordPress theme built especially for life and business coaches and trainers, individual therapists, psychologists, diet and nutrition consultants, etc. 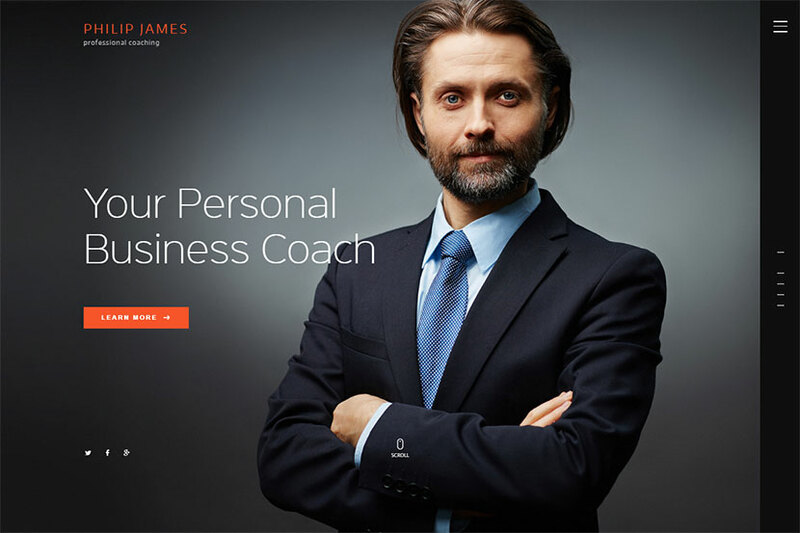 Using this template, you can build a stunning life coach website with amazing custom sections for your business. It’s created to showcase your practice and describe your services in the best possible manner. As the theme is compatible with WooCommerce, you can sell your products on your website and get additional profit. The template is compatible with King Composer page builder, so it is easy to customize. A WP theme designed for personal coach, mentor, consultant, assistant business, or any related experts. This is a perfect choice for building your online presence. 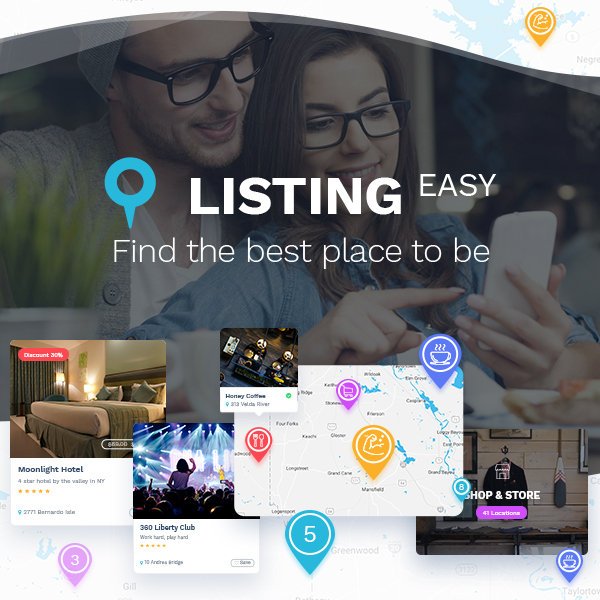 This is also a great tool for creating your reputation for your customers, and it is a feature rich template stuffed with a lot of useful features. It includes built-in slider, a simple optin widget, 15 sample homepages, 30+ predefined sections, 60 unique glyph icons, WooCommerce layout with options, drag-and-drop page builder, a simple event module, flexible heading, one page support, 3 column blogging, RTL support, and many more features. 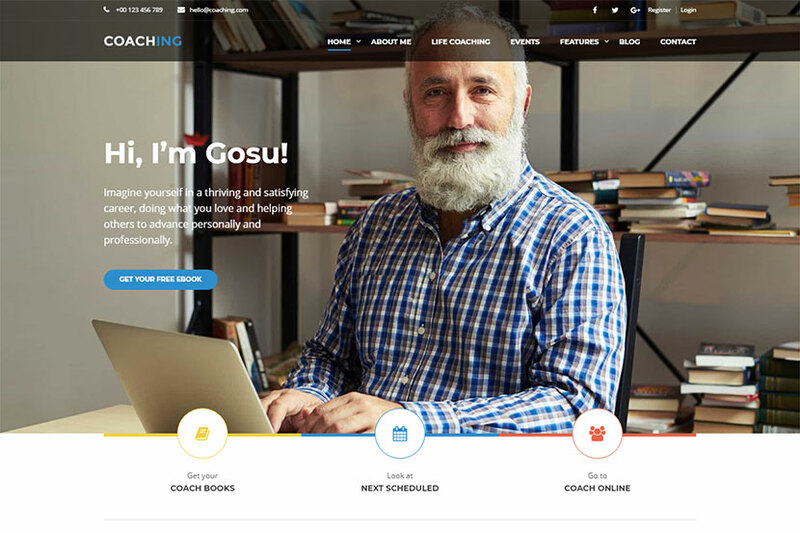 An online coaching WordPress theme which comes with three homepage layouts available for different types of websites devoted to mentoring, coaching courses, and other related niches. The theme comes both with a lot of features we’ve got used to see in almost every readymade design and plenty of new possibilities you can enjoy while building a website. Premium plugins like WPBakery page builder and Revolution Slider will ease the process of building content, while Redux framework theme options will allow to control the look and feel of your site. Dummy sliders, video and background parallax, as well as many more advantages are available. 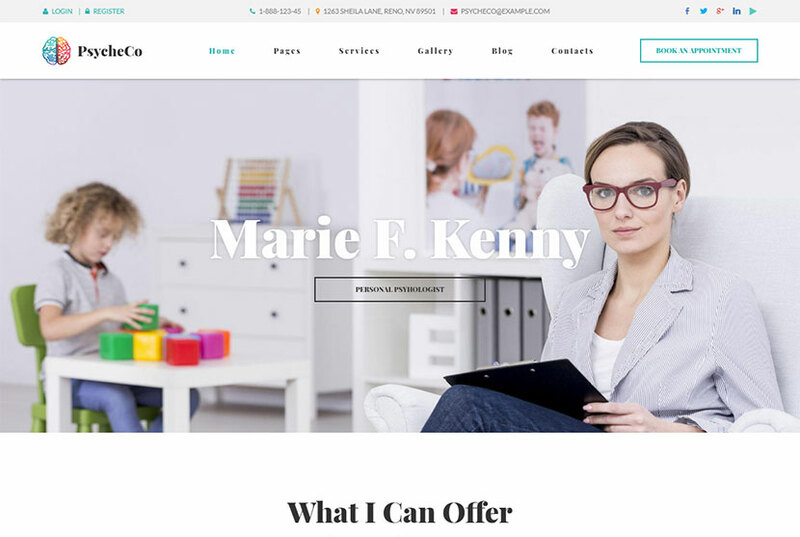 A WordPress theme intended for life and business coaches who wish to build impressive online presence as well as promote their services, share their achievements and find their customers online. The template features side menu and side scroller that are very useful when switching between sections. It supports Event Calendar to inform your users about upcoming lectures and meetings, and it is compatible with WPBakery page builder which you can use if you want to add more pages with your own unique layouts. 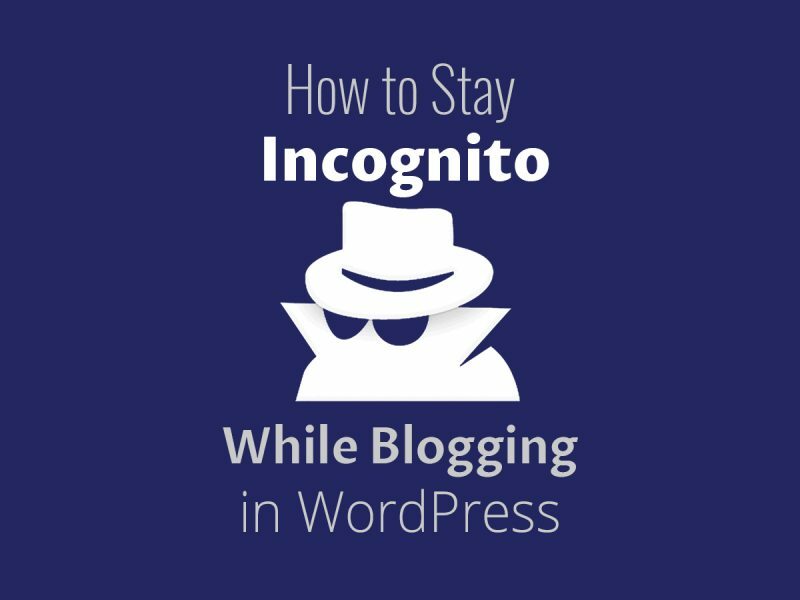 As the theme also supports WooCommerce functionality, so you can sell eBooks or any other products right from your website with ease. 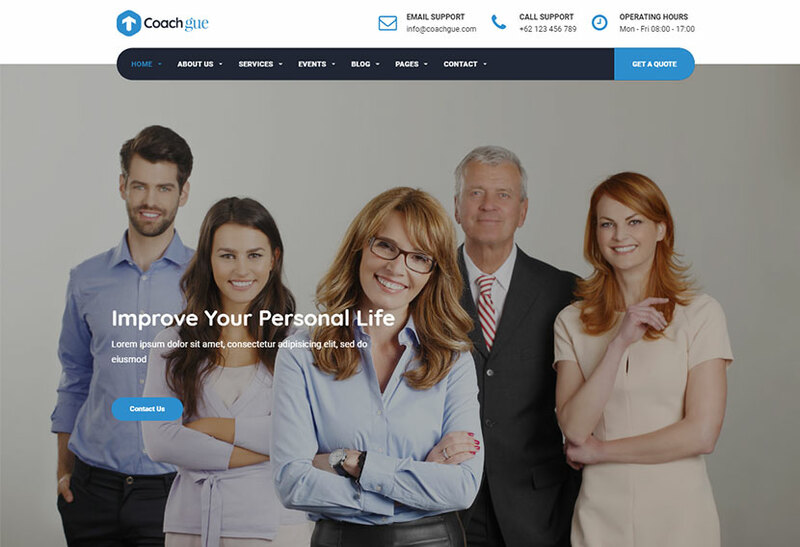 A bright and appealing WordPress theme created for life coaches, personal coaches, mentoring services websites or counseling companies. This theme is a perfect choice for those who have the aim to help people reach their goals, overcome difficulties and feel happy in their life. The template is a feature-rich solution for building your online presence with the help of an intuitive Unyson drag-and-drop page builder. Other features of the theme include unlimited colors, custom widgets, WooCommerce support, Booked plugin compatibility, and many more. 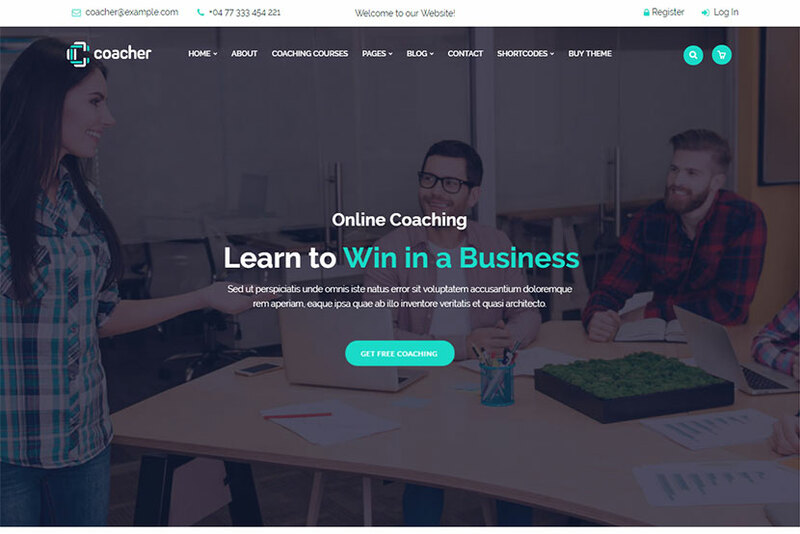 A sleek and modern WordPress theme designed and optimized for consulting and coaching business websites. It is also suitable for counselors, psychologists, and other related experts. The template comes with purpose oriented design, packed with a lot of features and awesome web elements to work with while building your website. Live Customizer, social integration, drag-and-drop page builder, translation support, 3 layout style options, custom widgets, WooCommerce compatibility, and many more features are included into the package. We hope we’ve managed to meet your needs concerning the best look of your personal website, and we hope you’ll easily find the design you need.